In case you've been living under a tapped-phone rock, here's what you need to know about the world's new favorite geek, Edward Snowden. The 29-year-old emerged last Sunday, as Washington grappled with damage-control measures in the wake of the exposed NSA programs. Snowden stepped forward to take responsibility for the leak. "I have no intention of hiding who I am, because I know I have done nothing wrong." Snowden spoke from an anonymous hotel room in Hong Kong, where he's been living alone since May 20. In his time there, he'd been lining the door frame with pillows and shielding the camera on his computer as he tapped out top secret passwords. He hadn't left the room more than three times. After all, the threat of being spied on—or worse— is "a concern I will have to live with for the rest of my life," Snowden humble-bragged. The Chinese paper promises the first exclusive interview with Snowden since The Guardian broke the story, with "more explosive details on US surveillance targets, his plans for the immediate future, the steps he claims the US has taken since he broke cover in Hong Kong, and his fears for his family." Stay tuned. Snowden apparently left his hotel on Monday afternoon. He told The Guardian that his best-case scenario would be a permanent move to Iceland, a country known for its emphasis on internet freedoms - but the Icelandic government has mixed feelings about what the move would do for American-Icelandic relations, and, at any rate, Iceland would be difficult to reach in a single journey from Hong Kong. Russia has reached out, saying that they'd be willing to consider taking in Snowden—but Putin's country isn't exactly known for its political freedoms at present. Either way, Snowden might be sorely deprived of the sun for a while. Before last month, he'd been living with his girlfriend in Hawaii, and earning $120,000 annually. As details about his alleged girlfriend (can you be an alleged girlfriend? We say innocent until proven guilty) come to light, so does evidence that Snowden was indeed living, as he claimed, a "very comfortable life." Photographs on Lindsay Mills' Facebook suggest that the couple had an active social life in Hawaii, snorkeling, camping, and hanging out with friends. Her personal blog, now removed, stated that she moved to Hawaii to be with "E", and that living there together was an "emotional roller coaster for them both. Mills' father revealed himself Tuesday night, telling reporters he doesn't know where Mills is, but that he's been communicating with her via text message. He said he was shocked by the news, but also "understood" Snowden's motivations for the leak. Mills herself doesn't seem to have known what her boyfriend was planning on doing, and indeed Snowden told The Guardian he was "deliberately vague" with his girlfriend about his motives for leaving the tropical paradise. He had dreams of joining the army. "I felt like I had an obligation as a human being to help free people from oppression," he said of his enlistment in 2003. He swiftly became disillusioned, citing his experience of soldiers being "pumped" about violence rather than altruism. After he broke both his legs in a training accident (nerd swoon), he left and joined the NSA, where he worked in intelligence for a decade. The Guardian unmasked him - at his own request. 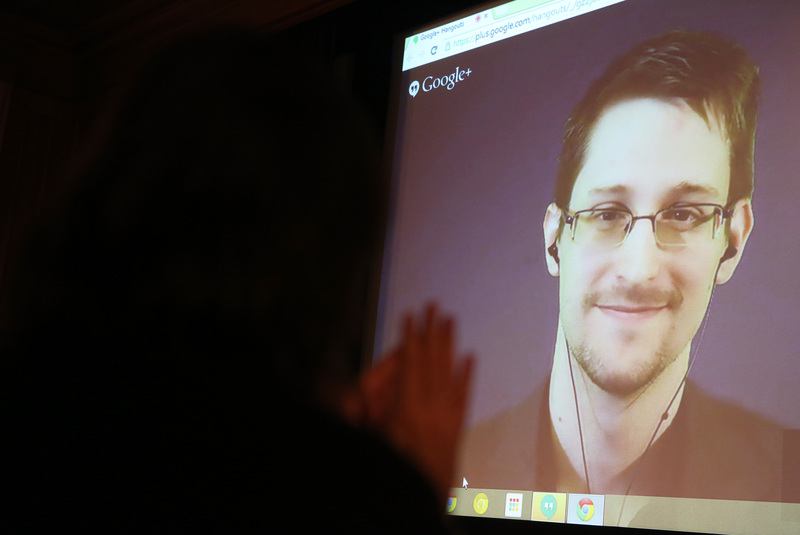 Snowden claims that he never considered anonymity. That said, he said he hoped that the media would minimize his role in events— though he suspected, (maybe as he recorded several video interviews for an international audience?) that wouldn't happen. "I don't want public attention because I don't want the story to be about me," he said. "I know the media likes to personalize political debates, and I know the government will demonize me." Snowden's decision to vanish from the US three weeks before the leak suggests that this was far from a spur-of-the-moment decision. It seems he was plotting the leak for awhile, after feeling "hardened" by the Obama administration back in 2009, and knew then that "you can't wait around for someone else to act." Daniel Ellsberg, who leaked the Pentagon Papers, has stepped out to salute him. Snowden's proponents have compared him to Ellsberg, who released papers in 1971 proving the White House had lied to the public about the Vietnam War. Now, Ellsberg himself is commending Snowden, saying "there has not been a more significant or helpful leak or unauthorized disclosure in American history ever... and that definitely includes the Pentagon Papers." Snowden's critics have argued that the Pentagon Papers shone light on an obvious injustice, whereas the same can't yet be said for the leaking of the NSA programs. The Internet will find a way to turn any national security incident into a meme —and so now we have this. And this. We're not complaining.